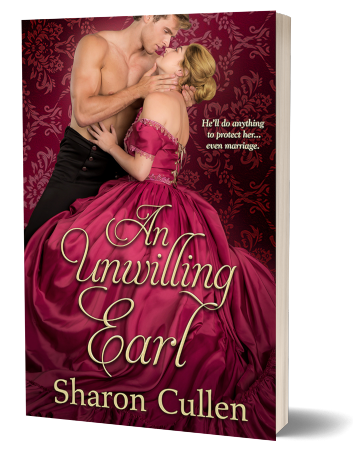 To celebrate the release of AN UNWILLING EARL by Sharon Cullen, we're giving away a $25 Amazon gift card to one lucky winner! Enter your information below for your chance to win! I understand that by entering, I will receive occasional emails from Pure Textuality PR for new releases, ebook deals, and giveaways. Pop on over to your inbox to confirm your subscription & entry!